Summary: A young girl loves to create stories and pictures with her pencil. But what if the pencil disappeared? She’d create by folding the paper. If that was gone? She’d carve up the table and chair to make something new. And so it goes, her creativity unstoppable even if her tools aren’t available anymore. The second to last page reads, “If I had nothing, but still had my mind…” with a close-up of her face on a foldout page that opens to an imaginative spread of her riding a pink unicorn, then continues: “If I know nothing but one bit of fate…As long as I live, I will always create.” The final page shows her working in her apartment window; other windows portray her neighbors playing music, dancing, decorating a cake, and pursuing other creative endeavors. 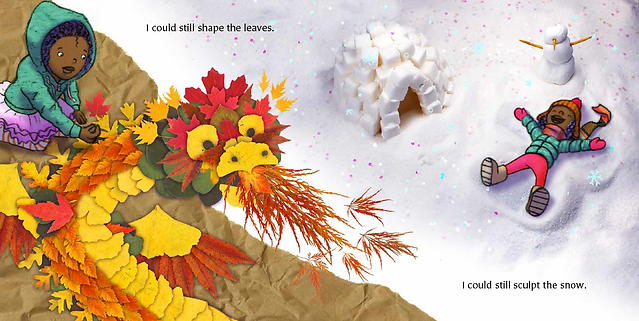 A note from the author and illustrator tells how Samantha Berger was inspired to write this book after a flood forced her to evacuate her apartment with only her dog and her sketchbook. 40 pages; ages 4-8. 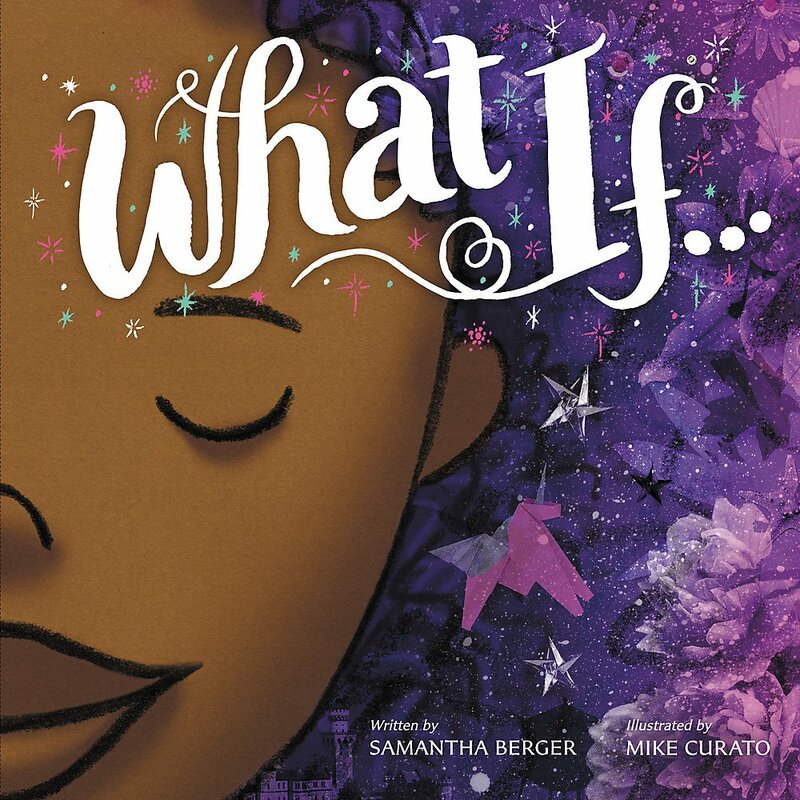 Pros: Maybe Mike Curato will finally win a well-deserved Caldecott for this beautiful meditation on creativity and the ability to make something new in any situation. Cons: The pink unicorn and rainbow on the foldout page felt a little clichéd.